I really enjoyed reading this book. It is for younger readers, but the story was enchanting, the characters engaging. 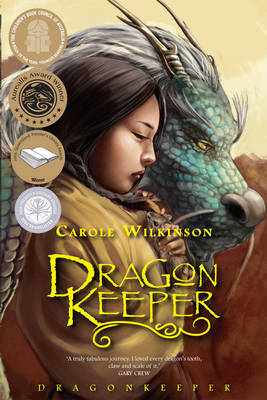 It is a beautiful fantasy story set in the epic and exotic backdrop of ancient China. It is about more than just dragons though, it is about courage, value, self-worth, heroism, resilience and the power of good. Being fantasy, there is some magic in the story, particularly some dark magic used by the villain. Recommended for Year 7 readers. 4 stars.